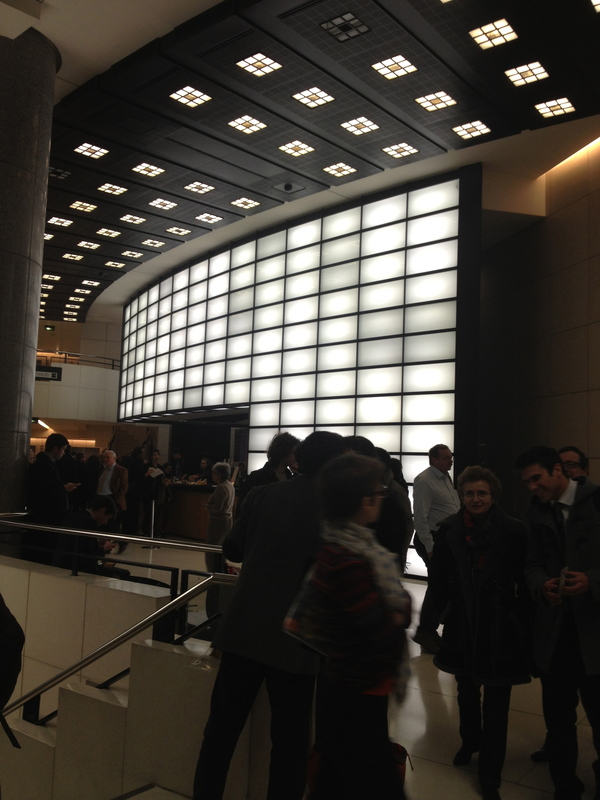 Yesterday I went to the opera house at Bastille. I have been to the Opéra Garnier before, that’s why I wanted to visit the more modern Bastille Opera. I supposed that the seats were probably more comfortable at the modern Opera than at the beautiful Garnier Opera. Pit choose the play, the Valkyrie (Die Walküre) written by the well-known german composer, Richard Wagner. It is the second of the four operas that form the cycle Der Ring des Nibelungen (The Ring of the Nibelung). Conducted by the Swiss Philippe Jordan together with the famous Orchestre de l’Opéra national de Paris. 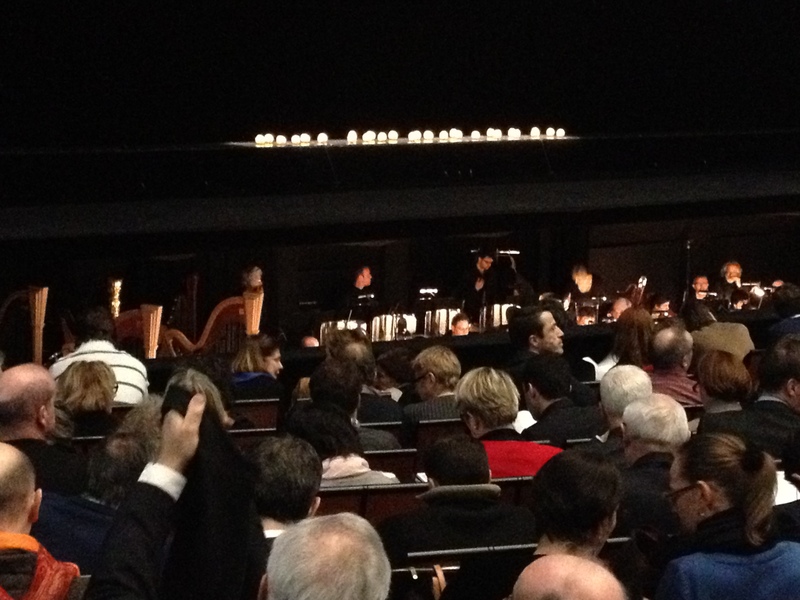 The whole specatcle lasted from 6 pm to 11pm, which is a long time for non-professional Opéra-visitors. Anyway, the show was incredible. The scenery was exceptional, the actors amazing and the ochcestra stunning. Finally, the story was captivating. The only thing I had to criticize was the volume of the music. Generally, the music could have been louder. 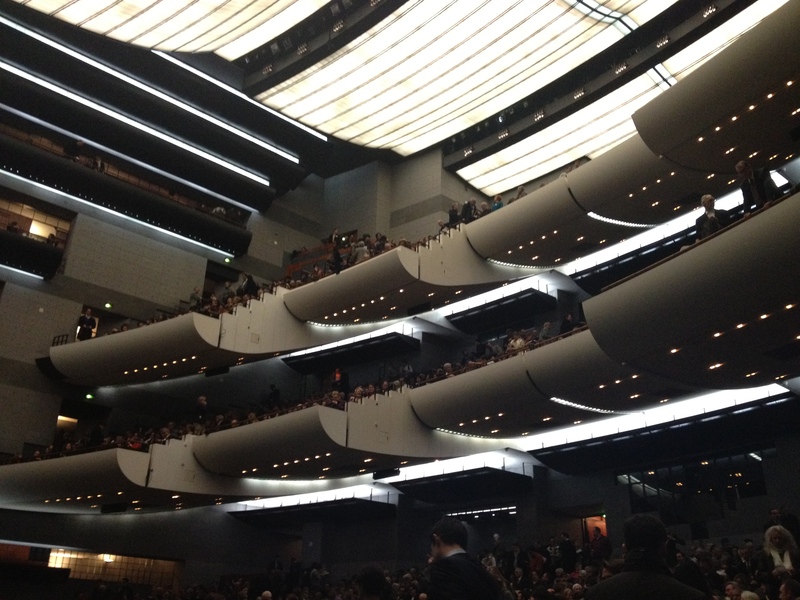 The inside of the Opera is tremendous. The musicians sit in the orchestra pit below the front of an enormous stage. The architecture is very bizarre and modern as you can see on the pictures. People were all well dressed, very classy. I can only strongly recommend to go and visit both Operas when you are in Paris! It was an amazing experience. Though, one has to be in a good shape to get through 5 hours! This entry was posted in Art, Cult, Uncategorized and tagged Bastille, Die Walküre, entertainment, garnier opera, opera, Orchestre de l'Opéra national de Paris, Paris, Philippe Jordan, Richard Wagner, The Ring of the Nibelung, The Valkyrie. Bookmark the permalink. Great that you enjoyed the show! Just FYI, nobody in the cast is actually German: Stuart Skelton is Australian, Egils Silins is Latvian, Martina Serafin & Günther Groissböck are Austrian, Alwyn Mellor is English and Sophie Koch is French. They all have fabulous German of course. Good old international opera!